Husky accessories are great to have around the shop and have an amazing lifetime guarantee. A Dremel can basically do anything, but which tool or attachments are right for you? I always get questions about how to properly set up the DEWALT Job Site Table Saw. The steps are pretty simple, then you will have a perfectly accurate and powerful saw! This battery powered saw from Makita has two batteries and all the power! Doing some DIY work in your house, here are some of the tools you might need. 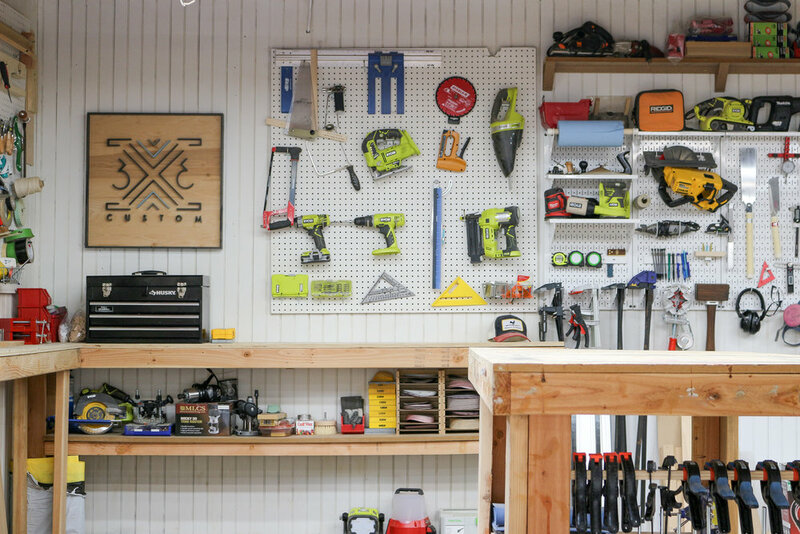 Shop organization is always hard, this Husky workbench makes it easier! My new favorite circular saw…. Here’s a list of a few of my favorite measuring tools and why I love them so much. Every once in a while I need to completely organize my shop, here are some tips and tricks I’ve learned along the way!